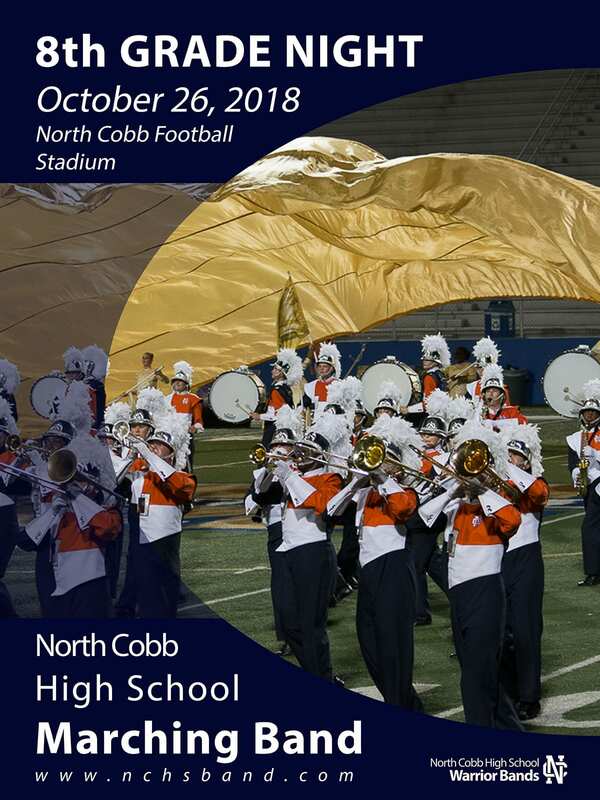 The purpose of this project is to maintain a strong connection between the North Cobb high school band and its feeder music programs in the district cluster through community engagement, outreach, and music collaboration. 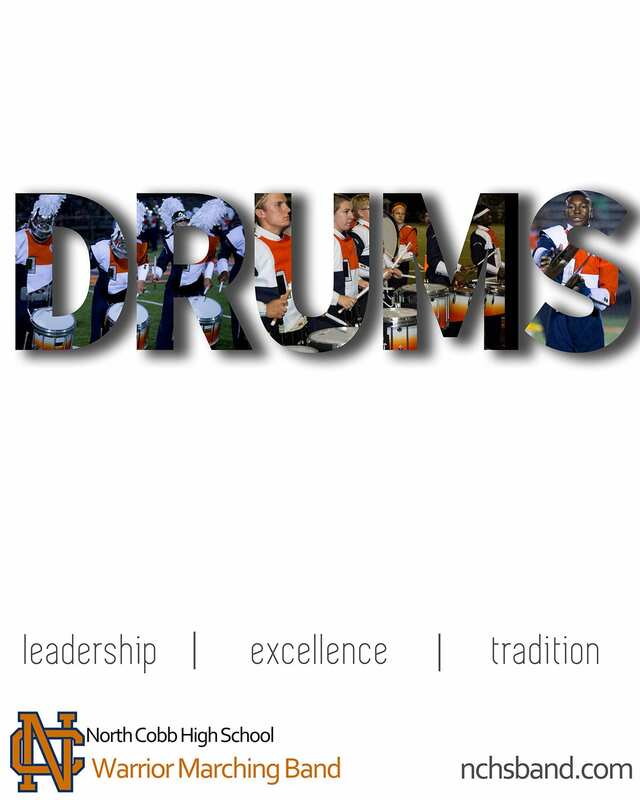 The target audience for this project is every student within the North Cobb High School feeder pattern. This includes Awtrey and Barber Middle, Big Shanty and Acworth Intermediate, Baker Elementary, along with Kennesaw and McCall Primary schools. The bulk of expenses goes towards 8th grade night. 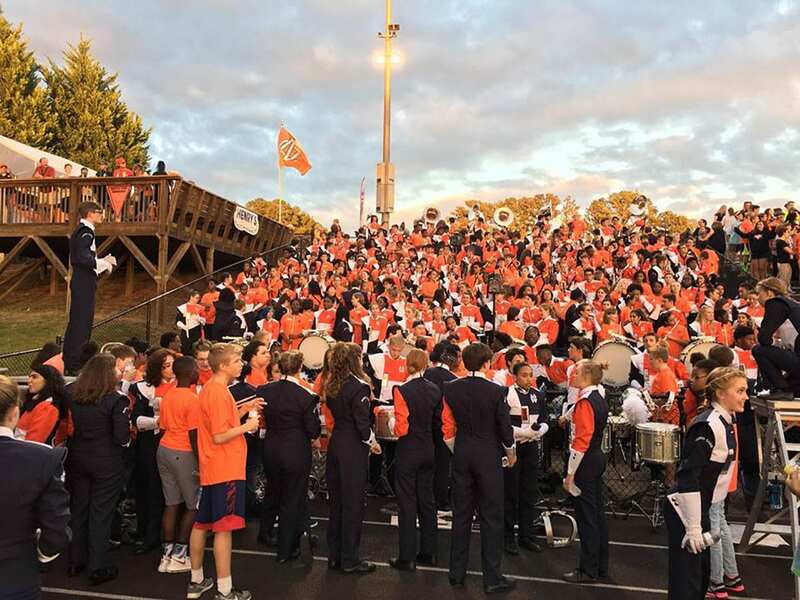 Every student enrolled in feeder 8th grade band and dance programs is invited to join the high school band for a Friday night football game. Cost for students is $7 to participate in the event. We use the money allocated in the budget to pay for the dinner for students, a catered meal for the directors, t-shirts, and promotional material. In addition to the annual 8th grade night, we have added a weekly video that recognizes outstanding middle school musicians. Each week, a student in our feeder middle school bands is nominated by their middle school band director and featured in a video shoutout from the high school Wind Symphony. These students can come from the 6th, 7th, or 8th grade. Each “player of the week” also receives a free t-shirt from our band boosters. 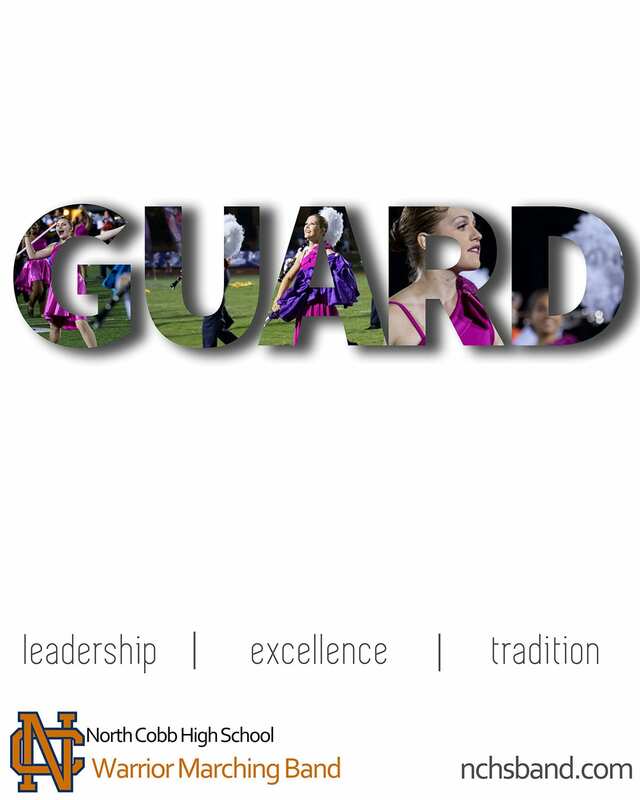 The effectiveness of the project is measured by the percentage of students that continue into the high school band. 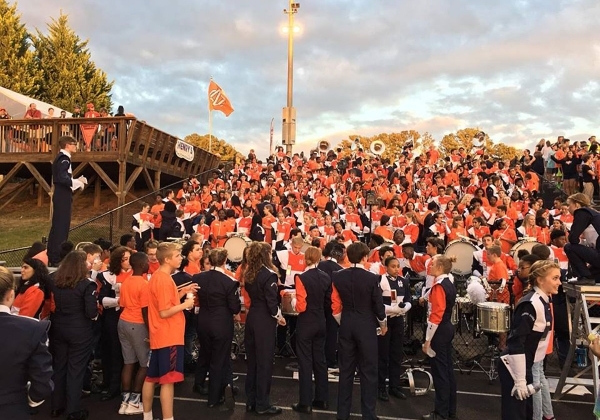 North Cobb High School has an enrollment of 2,900 students, with approximately 350 involved in the band program. 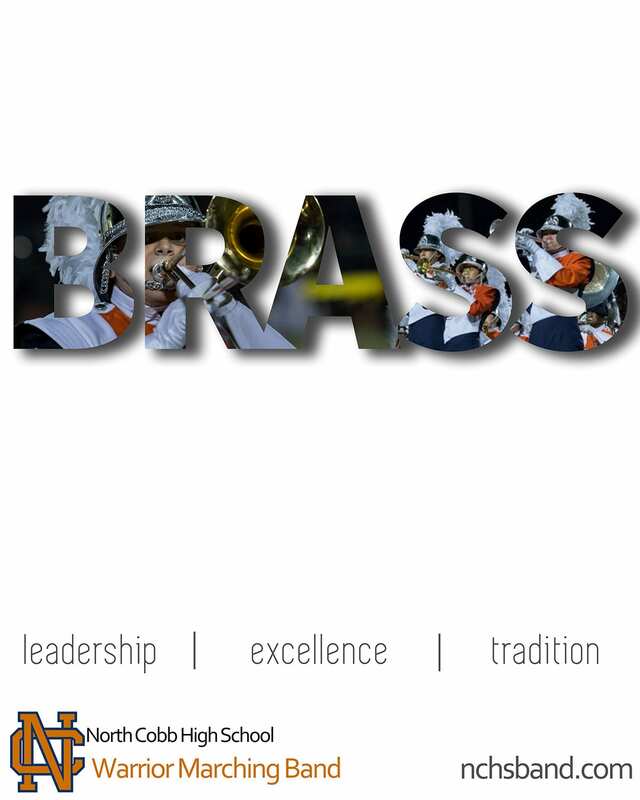 We currently achieve between 80-90% retention between 8th to 9th grade band. For 8th grade night, one of the feeder middle schools buses the kids over (they present it as a band field trip), and the other middle school is within walking distance from the high school campus. The “player of the week” videos are easy to make. It takes about 30 seconds (not including outtakes). A student leader uses his phone and the same template to create each video. Our elementary school partners are always excited to allow the high schools to play and support in any way. 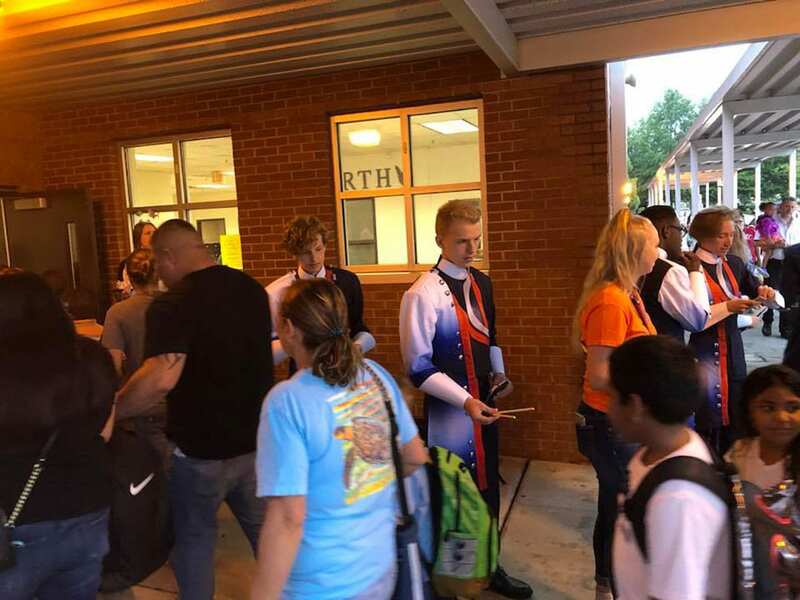 North Cobb band students go “Classroom Christmas Caroling” alongside our middle schoolers and also hand out North Cobb Band pencils to elementary students before a big test and on the first day of school. 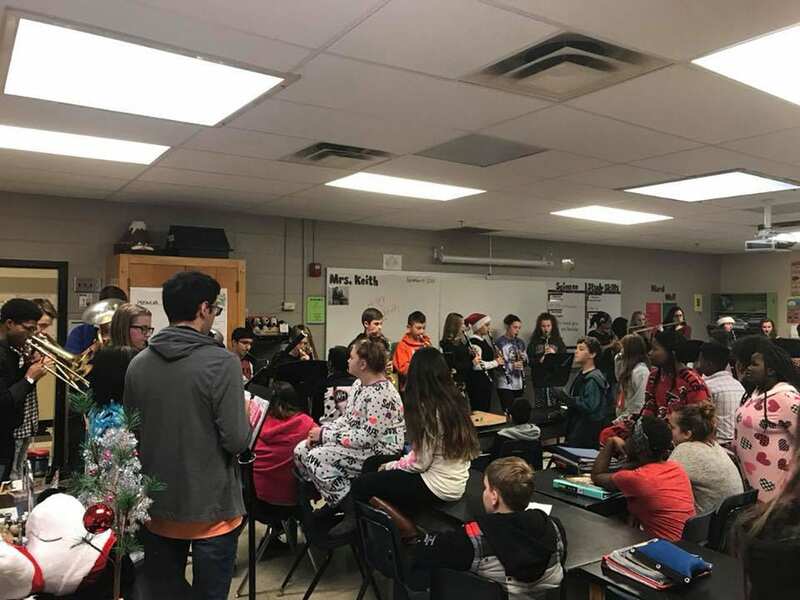 Outside of these events, a HS director as well as student musicians travel to the middle schools to assist the MS directors in any way on a weekly basis. HS student musicians serve the middle schools by providing sectionals for beginning students and sitting in rehearsal with the 7th and 8th grade bands. 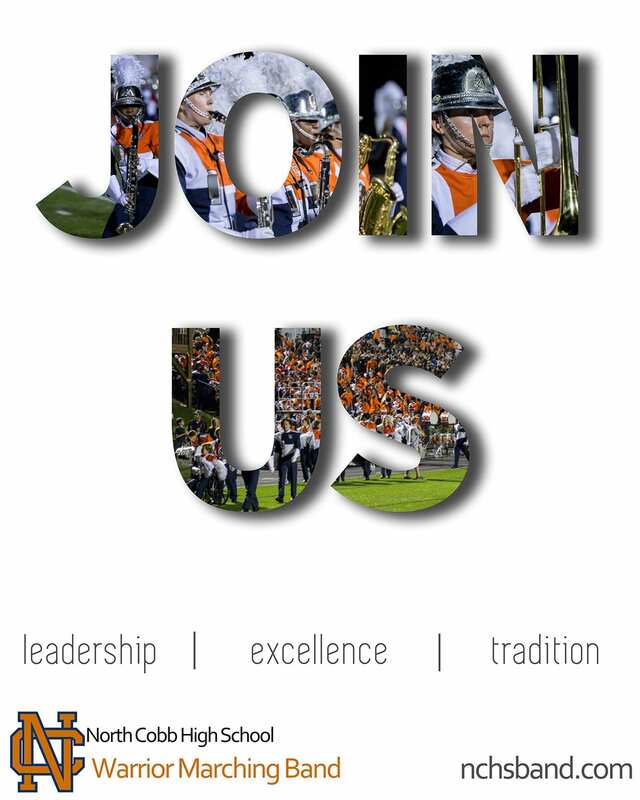 We approach every recruitment activity as a way to support the middle school band program and enrich the experience for all students.